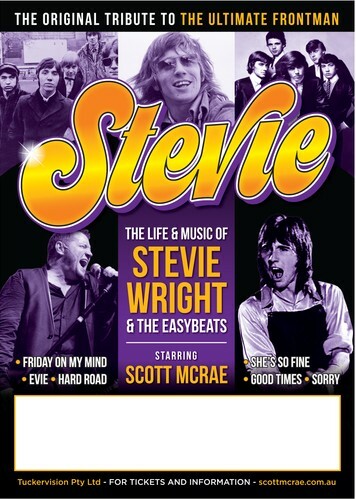 Scott McRae will farewell this Stevie Wright rock show on his life and music but warning: This is no cover show! A full theatrical musical incorporating footage, music and a story told that will rock your socks! The story will be told warts and all, for the last time, live on stage. Offer 2 - Show Only - Limited tickets but you can still enjoy a meal down stairs by booking our A La Carte restaurant prior to the show. Desserts are always on offer to purchase on the night at the concert. Concert is performed upstairs in the Grand Ballroom. Please note that unfortunately at this stage there is no disable access or lift.